Wrapping up a two-day visit to Athens on Friday, French President Emmanuel Macron expressed his support for further French investments in Greece and encouraged authorities to press on with economic reforms. 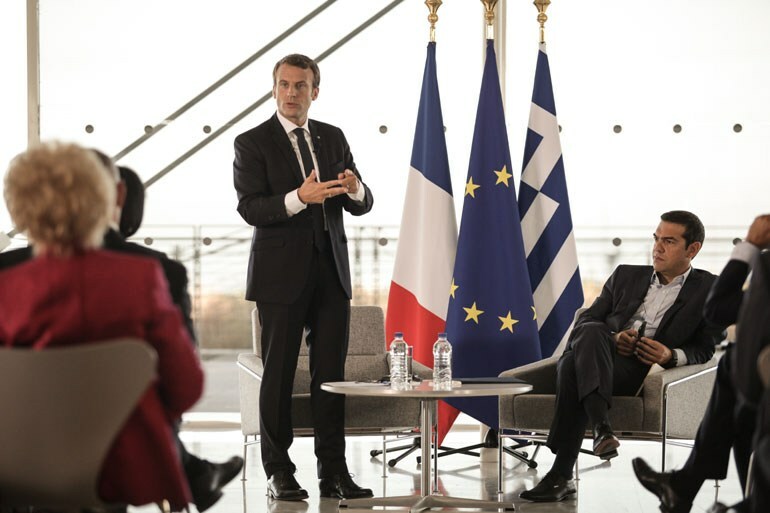 “I personally guarantee French support,” Macron said at the Stavros Niarchos Foundation Cultural Center, where he and Greek Prime Minister Alexis Tsipras co-chaired a meeting of Greek and French entrepreneurs. He also underlined the importance of European solidarity in Greece. “We pushed Greece toward non-European investments and that does not gratify me,” he said, apparently hinting at Chinese involvement in Greece’s largest privatization projects, at the port of Piraeus and Elliniko, the site of the capital’s former international airport. “The eurozone must show solidarity,” Macron said. “France has showed that it supports this line and it has done so every time it had the opportunity to do so in the context of the negotiations,” he said, referring to discussions regarding Greece’s international bailouts over the years. 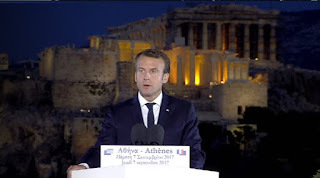 Macron made it clear, however, that French support is not unconditional, referring several times to the need for Greece to honor commitments to its foreign creditors ahead of the scheduled return of bailout monitors to Athens next month. He added that his government was intent on creating a healthier environment for investments “by means of a plan for constant reforms” with the ultimate goal of generating much-needed jobs. 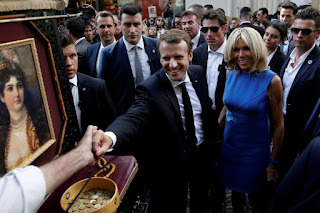 Later in the day, Macron and his wife Brigitte strayed from their scheduled program, opting to take a stroll around one of the busiest parts of the capital – on the pedestrianized Ermou Street, surprising shoppers who stopped to take selfies with the couple. Greek government sources indicated that they were satisfied with the visit by Macron, noting that his references to the need for more democracy in Europe pointed to a close alignment with positions that have been expressed by Tsipras. 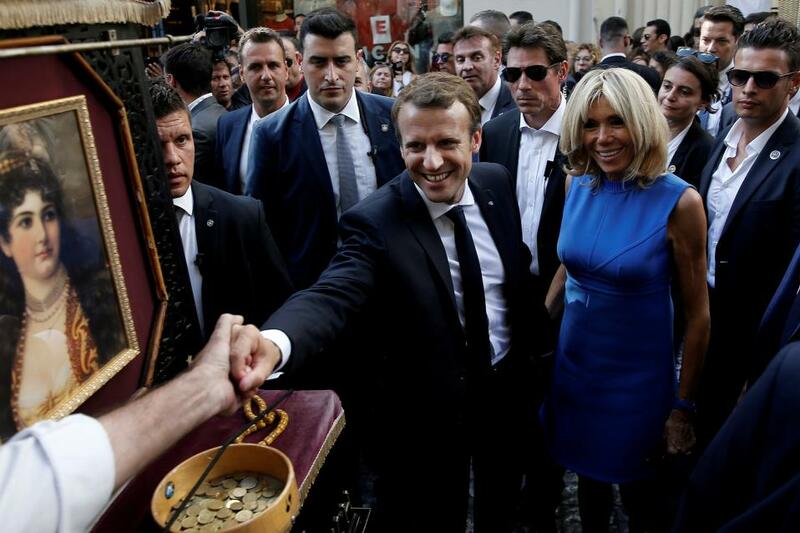 Authorities were cheered by Macron’s calls for greater European solidarity and for the International Monetary Fund to make no further demands on Greece. In an exchange with Greek President Prokopis Pavlopoulos on Thursday, Macron suggested that the IMF should not “intervene” in European affairs and looked towards the creation of a European Monetary Fund.